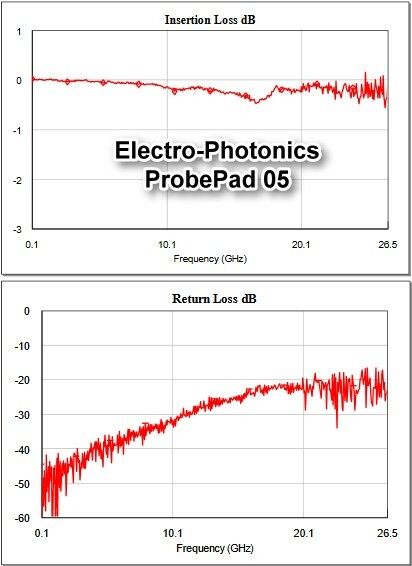 September 12, 2018 - Electro-Photonics LLC, a market leader in RF and Microwave components has released a ProbePads 05, a coplanar waveguide-to-microstrip transition. Our new ProbePads 05 (P/N: PPS-005-01) can be used for many on-wafer measurements, device characterizations and microwave integrated circuits. This 5 mil thick CPWG to microstrip transition is made from 99.6% Alumina with a total thin-film process. The ProbePads 05 are manufactured in the USA and are RoHS compliant. 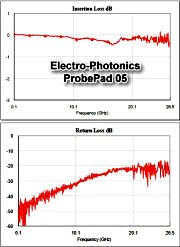 Electro-Photonics, LLC, is a global supplier of high-frequency components and services. Our products include, SMT hybrid and directional couplers, high frequency test fixtures, evaluation test boards, and wire bondable passive components.